Each situation calls for a different type of feedback: a gentle nudge, thoughtful critique, careful questions, or detailed proofreading. If you don’t read the situation correctly, you can damage the relationship with the writer and do a disservice to the writing itself. My great-uncle was an esteemed educator, composer, and professor. (Name withheld to protect his memory!) People who wrote to him often found their letters returned covered in red ink. Students, relatives, strangers—no one was immune from the scourge of his editorial eye. I’d start sweating merely writing a note on a Christmas card! Perhaps it was an intentional strategy to keep his list of correspondents short. If that’s the persona you want to cultivate, go for it. But you may alienate your friends and colleagues. Before providing feedback, you’ll need to understand two variables: the stage of the writing project and the writer’s specific needs for feedback. For example, authors sometimes ask me to look at the structure and general approach of a book manuscript. In the world of books, this is a developmental edit. I resist the temptation to fix grammar or comment on word choice at this point – it’s too early. Those words may disappear in further revisions. 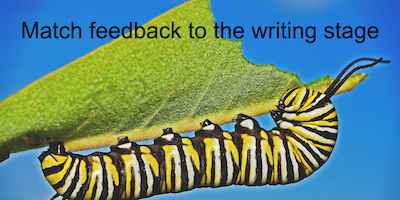 Match your feedback to the writing stage. Early in a project’s development, provide feedback on the big picture: how well the structure achieves its purpose and meets audience needs, and so on. For projects that are farther along, style and clarity are fair game. If something is about to be published, focus on typos, grammatical issues, or details that are easy to fix. Publication day is not the time to suggest structural changes unless you see a dire problem. How far along is this piece in its development? Do you feel like you’re almost done working on it? Is anyone going to proofread it, or would you like me to do that? Knowing the stage helps you figure how what level of feedback to offer. But that’s not enough to be effective in your comments. What Does the Writer Need? There’s a reason that the person is asking you for feedback. Are you particularly familiar with the topic or audience? Does the writer want your advice on writing style? On content? Both? Perhaps they’re only looking for affirmation or support. In this situation, a raft of critical comments might do more harm than good. Try supportive guidance instead – validation and confidence may be more valuable for this writer than a detailed copyedit. What is the writer trying to achieve? 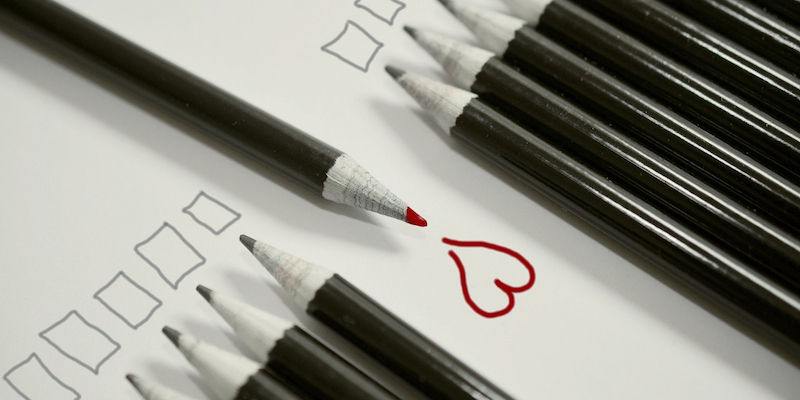 Once you’ve clarified your mission as a reviewer, deliver exactly what you have permission to provide. You may be tempted to overstep the bounds of your assignment. Use caution. When asked to review something, my first instinct is to start reworking because I love revising and polishing. But, having been the recipient of unwanted revisions in the past, I’ll ask permission first: This could be clearer – may I revise a section to show you what I mean? Sometimes, the answer is no, and that’s fine. I don’t want to turn into my great uncle. Sometime the work needs a good copy editing – and that’s a unique skill set. If that’s the situation, considering encouraging the writer asking you for feedback to hire an outside professional. (This can also smooth over situations in which you see a lot of problems but you don’t want to step out of your lane. If you want to call in a pro, look for one of the many excellent freelancers out there. ServiceScape offers a marketing place with vetted freelancers for a wide variety of projects. 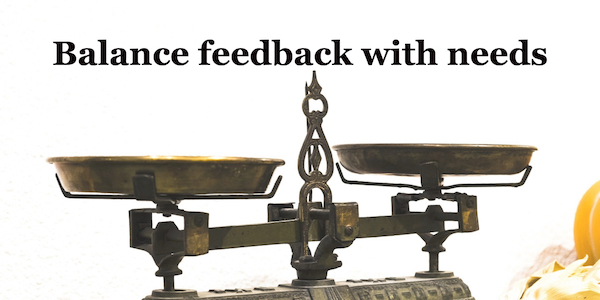 See the second post in this series on how to deliver effective writing feedback. In the perfect world, writers would give you all of this information when they ask for feedback. We don’t live in a perfect world, but we can make it a better one! 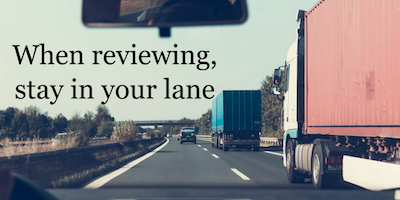 Send the writers you work with to my free course on Managing the Review Process. Thank you Anne for pointing out that we must first understand the scope of the feedback desired before we launch into a review and feedback project. This makes the whole review process much more efficient and effective. What your blog has shifted for me is to make concrete that we don’t want “writing” but that there is a “writing process.” Just as in design, we need to start with step A, then to step B and C… If we ask writers to do our work for us by “showing us a strawman document” then we are going to be frustrated. Planning is very important. Good feedback is equally important. Thanks for writing this series. You are helping business writers everywhere! Thanks, Lisa, your comments mean a lot!